Nokia (s nok) today announced the beginning of an effort to move Ovi Mail accounts over to Yahoo mail, a deal that was initially announced last May. Existing Ovi Mail users will have 90 days from today to accept the new terms of service and migrate their mail and contacts over to Yahoo’s platform. The platform change will bring chat as well as access to other Yahoo (s yhoo) services to the more than 9 million Ovi Mail accounts Nokia claimed at the time of the partnership announcement last year. But that was before Nokia decided to bet on Microsoft (s msft) for its mobile future. I don’t know the exact terms of the agreement between Nokia and Yahoo, but if there was a clause that allowed Nokia out of the deal, it should have executed it. The company is staking its mobile future on Microsoft Windows Phone 7 and yet, it’s now continuing along the path it made with Yahoo. Microsoft handsets certainly support Yahoo mail, but the devices require a Windows Live account; the entry point to mail and many of Microsoft’s other services. Users can certainly have accounts with both Windows Live and Yahoo on future Nokia handsets, of course. But wouldn’t the value-add both for Microsoft and Nokia (not to mention their mobile handset customers) be improved if Nokia migrated Ovi Mail to Windows Live Hotmail? The other aspect here is one I’ve mentioned before: Nokia often has great strategies, but fails to execute them in a timely fashion. By the time a plan is actually implemented, the market has shifted and the plan needs revision. In this case, the nearly 11 months between the announcement of Ovi Mail moving to Yahoo may be influenced as much by Yahoo as it is by Nokia. The fact remains however, that the mobile market is moving too fast for some companies to keep up. Nokia’s entire mobile strategy has undergone a seismic shift since the Ovi mail deal was announced, yet Yahoo still benefits from both the mail accounts as well as gaining Nokia’s Navteq mapping services to power Yahoo navigation products. Ironically, Nokia’s Navteq mapping solutions will be used by Microsoft as well. Were I at Microsoft, I’d be disappointed that this mail migration is continuing. Yes, Microsoft can still gain Windows Live users through Windows Phone 7 devices designed by Nokia, especially since the platform is built to leverage a Microsoft Windows Live account. Without sales numbers from Microsoft, we don’t know how the platform is doing, but my network operator sources and contacts in handset retailers indicate Windows Phone 7 sales are behind most other platforms. Migrating those Ovi Mail accounts to Windows Live could have offered a boost for current Nokia handset owners to upgrade to a Microsoft-powered Nokia phone, and many other Microsoft services, in the future. My ovi mail is not working when i login to my ovi mail it says that my browser does not support ovi mail but before that i was able to use it without any problems.i am using nokia 2690.anyone please help.Thanks. It is a welcome development.thanks for the migration but what will happen to my already existing ovi mail address? Hoping someone can help…my ovi mail isnt working any longer. 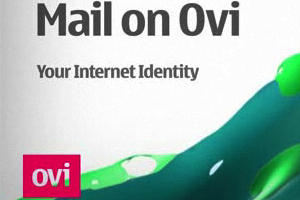 I can send email,reply to existing emails &can log in&be recognised on Ovi.com. But…when i try to log into my ovi.com mailbox(on my mobile) it does not know my username &password!? Will i ever be able to use this account again…or should i just open a new one? Hi Debs, just log in with your complete email address as your username and it should work. Just using your Ovi handle will not work on your mobile…I hope that helps. To log your issue go to http://support.ovi.com, sign in, and select â€œContact Usâ€ to submit a case. You can also visit http://www.nokia.com/support and select “Contact us” if you wish to open a case by telephone with your local Care Point. Maybe I’m a creature of habit, or whatever, but I prefer the old ovimail format. Why do you con people ? by the way once you have migrated to the yahoo account, how do you then access your emails?? Thru ovi or using yahoo??? I agree with mohamed usman, since nokia announced that ovi mail will combined with yahoo. Now i can’t access my ovi mail. I already accept the terms but the next step made me confused. OMG! Help me.. I like the conversation. Nokia’s initiative is fantastic and that’s why I’ll stick to it! As soon as you accept the Terms and Conditions, the instruction is straight, you should be migrated. It’s quit easy I think. I just need help in getting the phone code for my Nokia C3. I want my phone to auto-lock with a code when I’m not using it. One major difference between the new Ovi Mail by Yahoo! and Yahoo! Mail is that pop access is free through the new Ovi Mail and its still an extra on Yahoo! Mail. I have an account at Ovi.com, since Ovi has combined with yahoo I cannot read my mail at Ovi. If you accepted the Terms of Service, then your account has been switched over. You should already have access to your account, and shouldn’t be having any difficulty sending or receiving email, etc. Your old email is being migrated over and will be in your account as soon as the data has successfully migrated. I have tried to find a person from Nokia that can answer one simple question: How long time is the migration going to take? 1 day? 5 days? 2 weeks???? I am with Nokia – I can answer your question. The amount of time will vary by user. The data migration is already in progress, and as each user’s data completes the migration, they will see all of their information and also receive an email notification. Unfortunately, it’s not possible to know exactly when each individual user can expect the migration of their data to be completed. We are working to complete the migration as fast as we can, and we anticipate that it will be complete for all users within two weeks. Why not? Going with yahoo is good on antitrust issues. This is not advisable b’cos all other people will have access to it.i think it’s only Nokia users cos that differentiate us from others. One point worth mentioning is that you can bring pretty much any email account into live mail just by entering the email address and password. You can have many email addresses from different providers all feeding into your hotmail account so ovi mail accounts (yahoo accounts) won’t be locked out. I believe Ovi Mail is a bigger asset for their feature phones running S40 and not part of the Microsoft Windows Phone deal. Not many Symbian smartphone owners use Ovi Mail as they can access any email just like any other smartphone can. Stuart, that’s a fair point and surely S40 handsets will continue to sell. But long term, the future is in smartphones, so strategically IMO, it would make sense to migrate the Ovi audience to the smartphone platform you hope they use on Nokia phones in the future. Hi, Kevin. Interesting take. While complementary, these partnerships (Yahoo! and MS) do have different goals. With Yahoo! we are bringing Ovi users into Yahoo!â€™s global Mail and Messenger platform and opening up the benefits of being a part of that community. With Microsoft, we are planning a new global ecosystem that creates opportunities beyond anything that currently exists today, offering a serious alternative to the existing choices for operators, developers and consumers. If you recall, the strategic alliance with Yahoo! extends beyond messaging, to Maps as well. Ovi Maps is a prime differentiator for Nokia in both of these partnerships and by including it across as many platforms as we can, we create more value for partners who would be part of our ecosystem and more value for users who could benefit from Ovi Maps. Both Yahoo! and Microsoft could help us expand its reach. For example, Ovi Maps could be at the center of a range of new services in the planned ecosystem with Microsoft and might include integration with Microsoftâ€™s Bing search engine and integration with the AdCenter advertising platform to form a unique local search and advertising experience. In the same way, â€œYahoo! Maps Powered by Oviâ€ would present a central navigation experience that enhances the media, content, social and service offerings also available through Nokia and Yahoo!. Itâ€™s important to remember that our definitive agreement with Microsoft is not signed yet, but we are making progress and we are optimistic about our future potential. Kendra, thanks much for the response. I do indeed recall that Maps is part of the Yahoo deal and mentioned that in the post above. You made an interesting statement about opening up Ovi users to the benefits of being part of Yahoo’s community. So is the Yahoo community more valuable to Nokia and its existing handset customer base than Microsoft’s community, which offers far more mobile services and is the planned ecosystem for Nokia’s mobile future? Might this mail migration not have happened had the Microsoft agreement been signed yet? It just seems to me that given Nokia’s stated (intended) mobile strategies, the Yahoo deal seems like a poor fit at this time. And to be honest, I haven’t heard or seen anything to convince me otherwise just yet. Again, I appreciate your taking the time to be part of the conversation. So Kendra, you mean to say that Nokia users will HAVE TO HAVE two email accounts ? one with yahoo and one with hotmail ? That seems a bad customer experience. I’m sorry for the confusion. That’s not what I intended to convey. I was simply distinguishing between the two strategic partnerships that Kevin is referencing in the post. Our partnership with Yahoo! relates specifically to Mail and Maps, whereas our planned strategic alliance with Microsoft relates to our plan to make Windows Phone our principal smartphone platform, creating a new global ecosystem that offers opportunities beyond anything that currently exists today, offering a serious alternative to the existing choices for operators, developers and consumers.